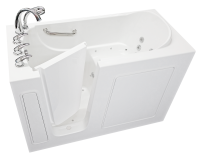 Our walk-in tub Model B2848 is an excellent choice for those seeking a deep and comfortable bathing experience while working with a compact bathroom. 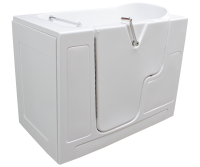 This tub gives bathers the best features of our most popular models while remaining easy to manage with a length of just 47½-inches, allowing it to fit in tight bathroom spaces. It is the optimal choice for replacing a compact 48-inch shower, but it also comes with a 12-inch wide extension kit that can fill in a 60-inch space or be cut to tailor the fit to less than 60 inches. 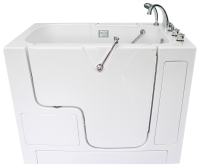 Users will also enjoy deeper soaks with the 40-inch height which is found only in select walk-in tub models. 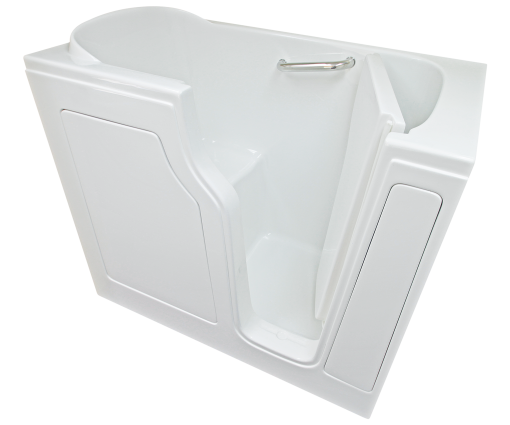 Part of this walk-in tub’s superior design is the wide-top doorway and 20-inch wide seat. These features ensure that users can sit down safely and enjoy ample room for movement once seated. 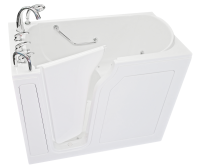 The contoured door matches the body’s natural shape and maintains the ease of entry of our other full-size tubs. 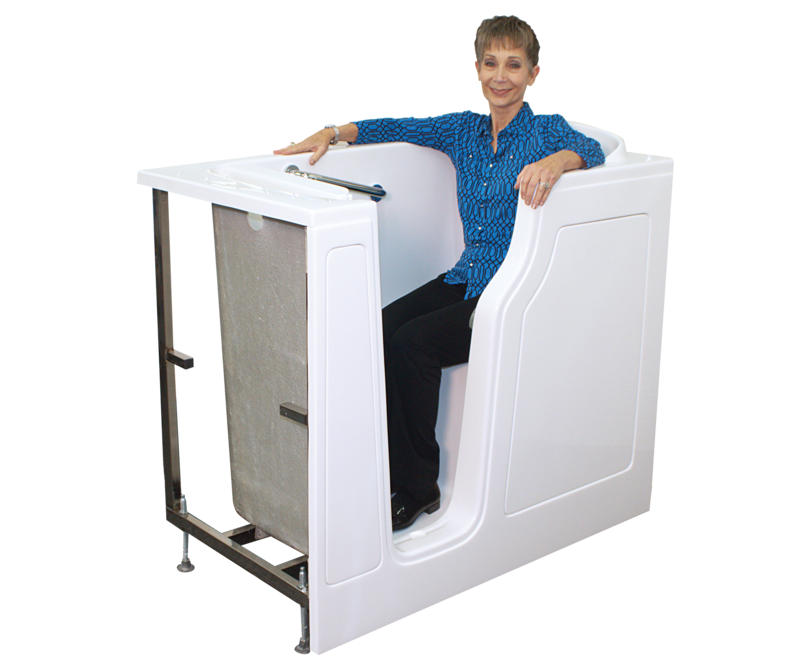 This walk-in tub is perfect for bathers with a full figure who need the extra room that other compact walk-in tubs simply cannot offer.